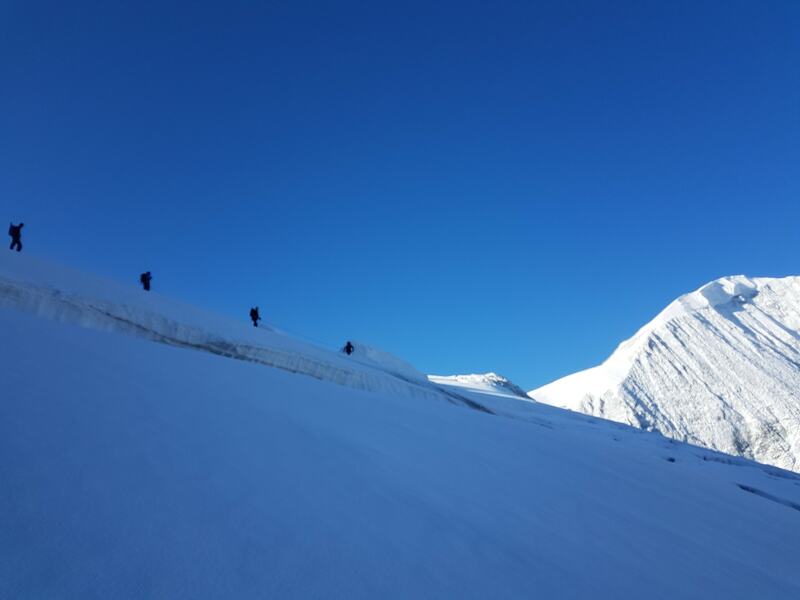 Exercise TROJAN GLACIER was a two-week-long alpine mountaineering exercise to Switzerland, conducted by Officer Cadets from Trojan Squadron of the Defence Technical Undergraduate Scheme. It aimed to introduce personnel already competent and qualified in basic level mountaineering and climbing skills to the high Alpine peak, pushing them to learn further technical skills and develop a range of personal qualities. After a two-day drive from HMS Calliope in Newcastle, the nine personnel of Trojan Squadron and two instructors (Maj Al Mason and LCpl Eddie Tomkins) were graced with the beautiful Swiss scenery of Evolène. Tents were pitched, briefs were given on what kit would be required to be carried and crampons were inspected before retiring to bed. The following morning commenced the ten-day activity phase of Ex TROJAN GLACIER. The exercising personnel were transported from Camping d’Evolène to Lac de Moiry at the base of the Moiry Glacier. Once a suitable proximity to the glacier was reached helmets and crampons were donned and ice axes made ready. However, at this point it was an ‘all the gear, no idea’ scenario for most the group, and the majority of the first day was spent ‘breaking in’ the new skills, such as walking with crampons on, traversing ledges, ice axe techniques and rope skills. Once the skills had been sufficiently practiced the expedition then moved up and off the glacier to the Cabane de Moiry (2528m), spending the night learning about Alpine hut etiquette and planning for the next day. The following day involved putting the previously learned skills into practice. The group rose before dawn for a quick breakfast, then ‘geared up’ and split into their respective rope teams. Immediately after stepping off many realized that this would be no piece of cake; the steep ascent up Moiry Glacier left many calf muscles burning. Despite the terrain, all members of the expedition managed to summit Pigne de la Lé (3396m) without any problems, where the loitering clouds cleared to reveal a stunning view. Once the scenery had been absorbed the descent back to the Cabane de Moiry began, where a quick lunch stop was enjoyed, and then a further descent back to the waiting vehicles ready to move to the next phase. The objective of the third mountaineering day was to travel from the valley floor to the Cabane des Dix, a mountain hut situated high above Arolla. After a lengthy uphill slog the groups encountered a ladder section that led onto the start of the Glacier de Cheilon. These ladders had been somewhat improved since the instructors had last been in the area, but they still seemed exposed and rickety to some! However, at this point the Cabane des Dix was in view, and overcoming the ladders and crossing the glacier, the group arrived at the hut and entered its warmth to enjoy a fine Alpine supper of sausage and potatoes. The summit of La Luette (3548m) was the objective of the following day. Breakfast was at 0700hrs, following which both groups set off towards the Glacier de la Luette. The weather was forecast to be poor with a potential to worsen later in the day, and as the teams roped up and donned crampons, this weather rolled in. 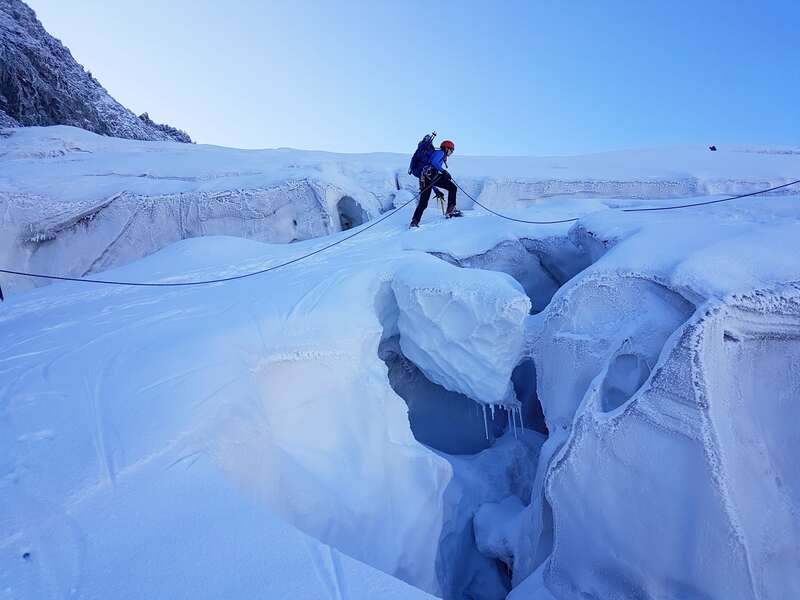 The onset of heavy snow and plummeting temperatures meant that both rope teams had to abandon the attempt a mere 160 metres from the summit due to safety concerns. Despite the arduous conditions, which seemed more like a Scottish winter scene than a summer Alpine day, all members managed to retreat back to the warmth of the cabin safely. The remainder of the day was spent refining technical skills and wearing out a pack of cards! After an early night and plenty of sleep, the fifth expedition day had arrived and as had been briefed earlier, it was to be a long one. The 0530hrs rise was just the beginning, and some officer cadets’ mental robustness would be sorely tested during the course of the day. By 0600hrs both rope teams were on the move, just as daylight was breaking. Thanks to OCdt Macmillan and his head torch with the power of a thousand suns, navigation was no problem, with the start of the route taking the groups back across the Glacier de Cheilon and up Glacier de Tsena Réfien – which proved to be another real calf burner; very steep with a mixture of solid ice and deep snow, with a number of crevasses to be avoided. The ascent continued up the Col de Tsijiore Nouve and then on to the Col du Brenay where at last the summit of the Pigne d’Arolla (3796m) was visible. After a short food stop both groups summited the mountain at 1100hrs, and thanks to the perfect weather received a very rewarding and well-deserved view. 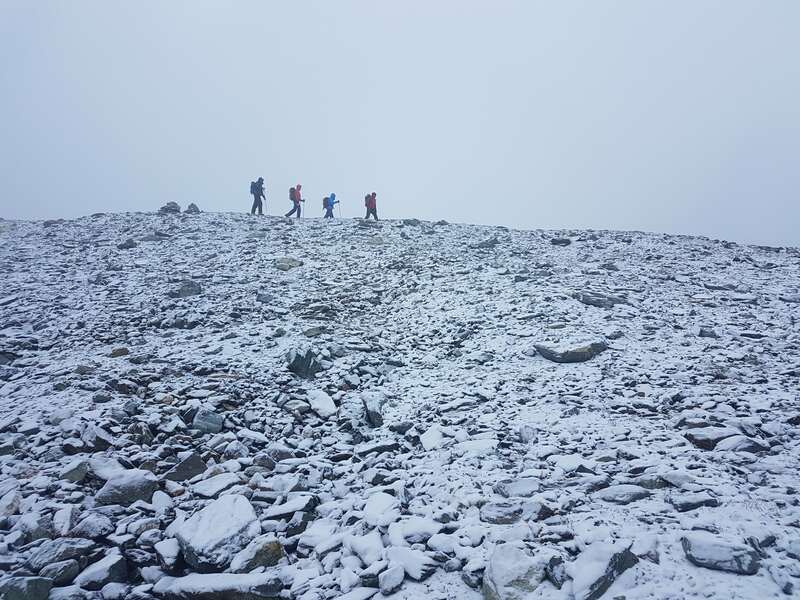 The groups moved down from the peak aiming for their next checkpoint and the planned lunch stop at the Vignettes hut (3160m). The route seemed straightforward: down across the Glacier onto the Col de Vignettes and follow the marked path to the hut. Unfortunately things did not quite go to plan. In between Pigne d’Arolla and the Vignettes hut there was a huge uncovered crevasse field which proved very difficult and time-consuming to navigate. After several attempts (and hours) the groups managed to make the journey from the peak to the hut. By this point many members of the expedition were extremely tired, though morale was still high. After a quick pit-stop to fill up on water and food, the decent back into Arolla began. It took another two and a half hours to move down the Glacier de Pièce and complete the journey back to the valley. Finishing at 1830hrs, the twelve-and-a-half hour route had been the longest mountaineering day most of the group had experienced, and an enormous meal of pasta and rice was very well received! For many, knowing that the most challenging day had been completed gave a confidence boost. 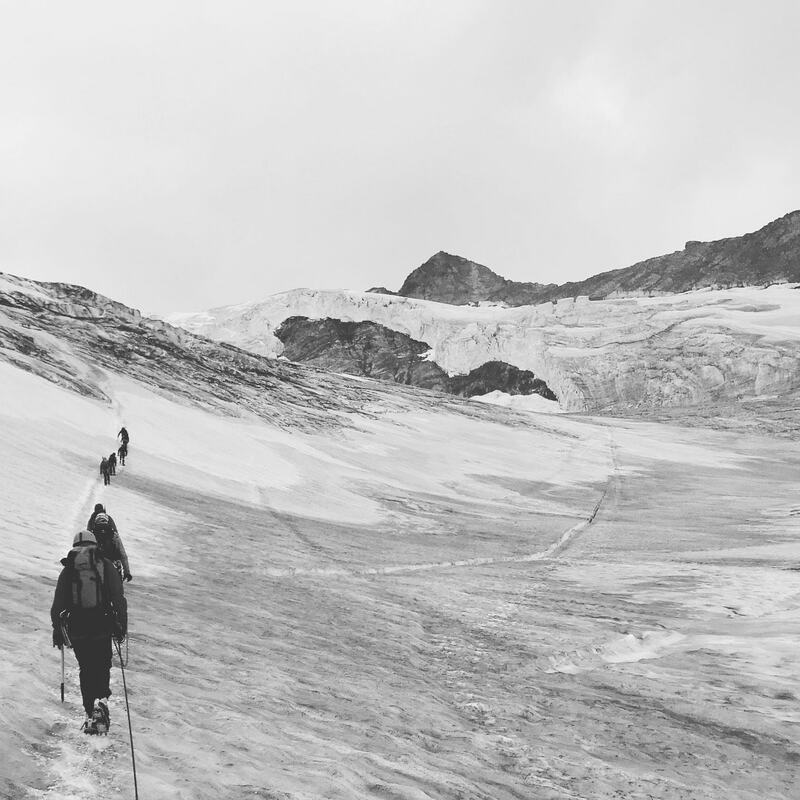 The increasing development of the skills that had been taught was becoming clear and the glacier, which at first had seemed cold and hostile, was starting to feel more like home. A warmly received rest day followed ‘The Long Yomp’ due to the fact that the expedition was moving location from Arolla to the Saas Grund area. Following the rest day the rope teams were re-organised to allow a PD graded route to be completed. The objective was to summit the Weissmies (4017m), the first 4000m peak of the expedition. Maj Nesfield, OCdt Macmillan and OCdt Sapsford were chosen to attempt this first as they were feeling most refreshed after the rest day. The remainder of the group would be utilising the Feechi crag near the campsite to log some sport climbs under the supervision of OCdts Scott and Sutherland. The conditions could not have been better for those climbing the Weissmies; the group was graced with clear skies and sunshine as they exited the Hohsaas cable car station (3101m). Visibility was perfect, meaning the route up was easily identifiable which combined with the fitness level of the group aided in the quick summit time of three hours. Fortunately, there was an ideally placed restaurant by the lift station which provided an ideal opportunity for a celebratory bowl of chips after a successful decent from the summit! The second group were still enjoying the crag in the fine weather, and to make the most of its ideal situation a crevasse self-rescue lesson was delivered to conclude the day. Those who were climbing had the opportunity to attempt the Weissmies the following day whilst those who had already made the peak were taken by Maj Nesfield to learn how to klettersteig and summit the Mitaghorn (3150m). Unfortunately the weather over the Weissmies was much worse that day, with serious icefall presenting significant danger to those on the mountain and leading to the summit attempt being abandoned 500 metres short. 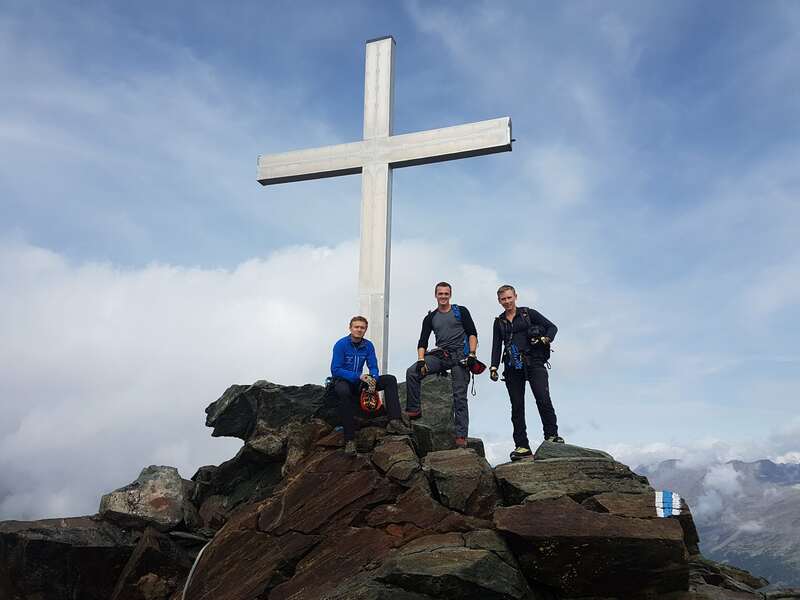 However, the klettersteig group made their much lower summit and were seriously impressed by the way in which klettersteig – mountaineering with fixed-cable safety – allowed them to reach seemingly inaccessible mountain routes. Abandoning the second group’s Weissmies attempt had left a few members a little frustrated as it would have been their first 4000m peak. 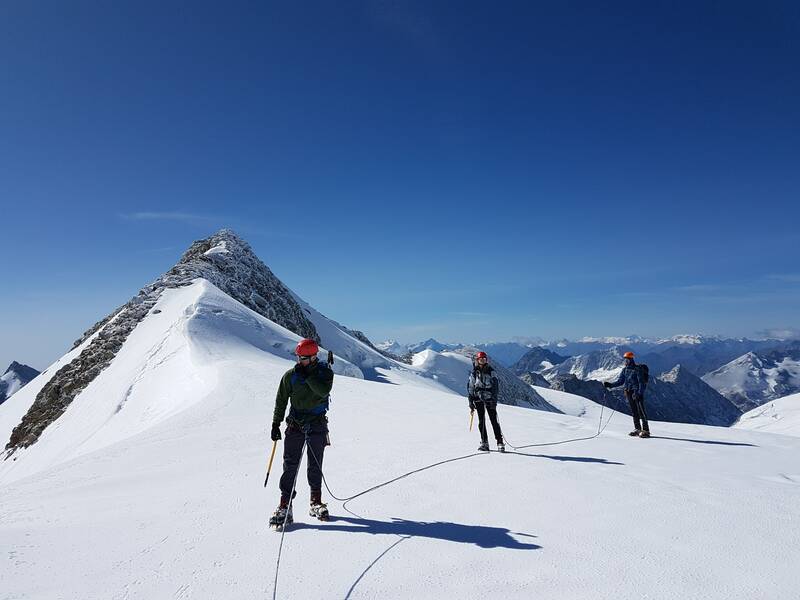 Therefore the following day, the penultimate day of mountaineering, was eagerly anticipated as the objective was to ascend Allalinhorn (4027m). The weather was perfect this day, meaning nothing could get in the way. Both rope teams made a quick ascent and enjoyed a breathtakingly clear view at the summit. 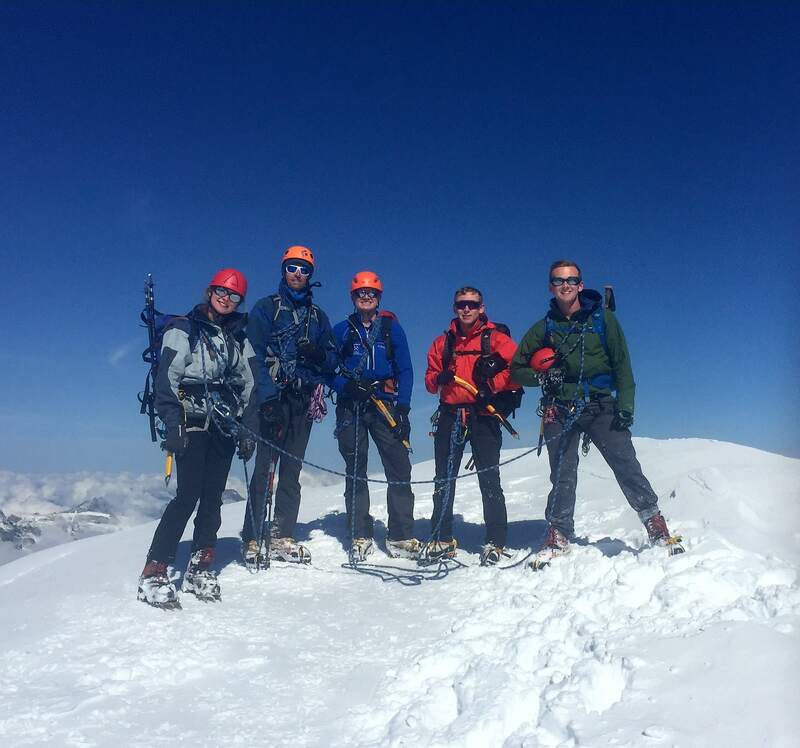 This was the highest peak summited on the exercise, and it was fitting that the whole group stood together enjoying the breathtaking views across the Alps before descending to the valley base. The final mountaineering day of Exercise TROJAN GLACIER was spent on a klettersteig route to the summit of the Jägihorn (3206m). It was an apt activity to finish the expedition and was arguably the highlight of the entire trip. The ascent began with a cable car from Saas Grund to the Fletschhoru station. From there the groups walked to the start of the klettersteig course. After gearing up and a quick brief for those who had never been on a klettersteig course before, everyone set off. The sun was bright, the sky was clear; it was a perfect summers day! After approximately two hours climbing the course reached a point that resembled something out of an Indiana Jones movie: a wire bridge that spanned the valley next to the Jägihorn with over a hundred foot drop beneath it! 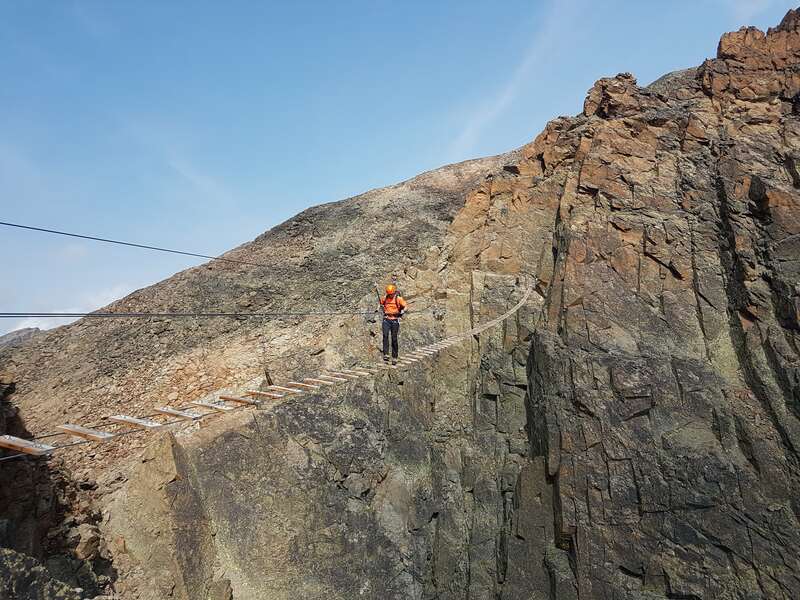 Despite the daunting prospect of the bridge, all group members summoned the courage to cross it and after another short section of climb, reached the summit. With the final summit complete the only thing left to do was return to camp, enjoy the final night in Switzerland with a pizza, and then start the drive back to Newcastle. There was a lot of self-reflection during the course of the meal, with all participants – including the instructors – feeling that they had achieved a huge amount. High altitude alpine mountaineering is an arduous activity which pays significant dividends in the development of mental and physical robustness of participants. This exercise would not have been possible without the financial backing of The Ulysses Trust, for which all participants are extremely grateful to the trustees. 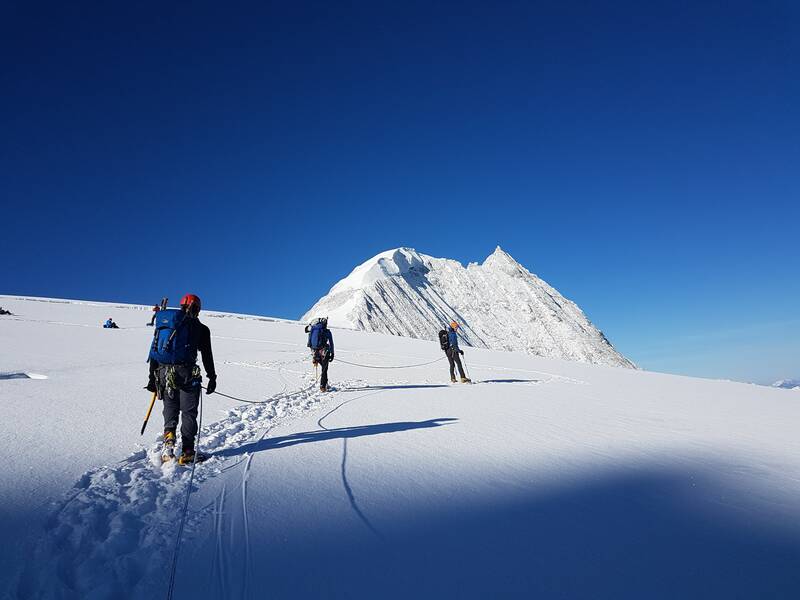 With all members that deployed on the expedition gaining the Alpine Mountaineering Foundation qualification, Exercise TROJAN GLACIER was a through and through success. 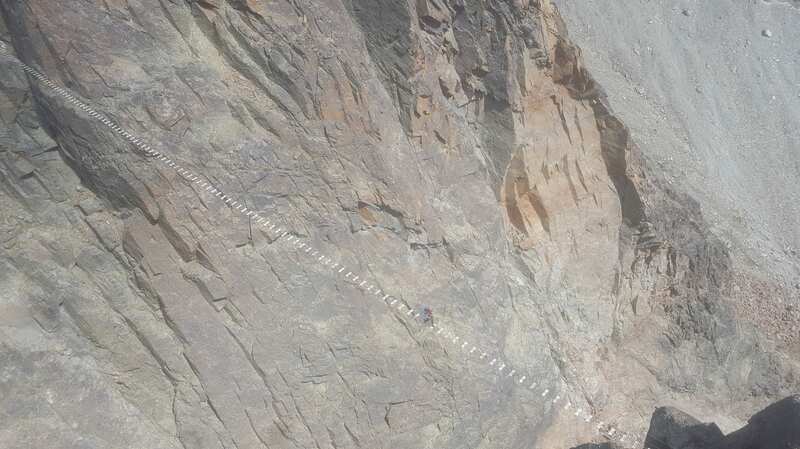 It challenged the physical fitness, mental robustness and determination of the Officer Cadets that took part whilst also providing them with mountaineering knowledge that will pay dividends in their future careers.